I wonder how many other authors go through what I’m feeling right now. Don’t get me wrong, I love the editing process (does that make me weird? ); working with my wonderful editor, Maria V A Johnson, is a joy. 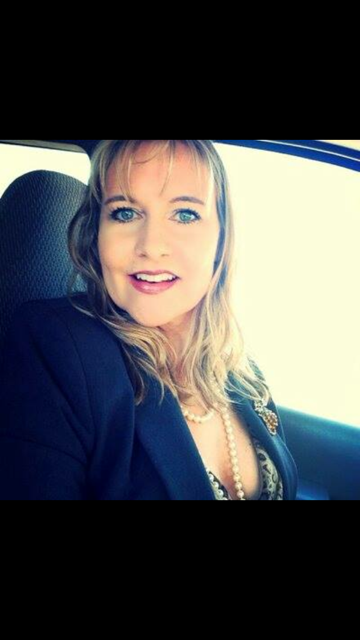 She has fantastic insight and helps me shape my raw manuscript into something worth publishing. But now I’m so close to bringing out my second novel – I’m three chapters of tweaks away before final formatting and uploading to Amazon – I just can’t wait to get it done. I know these last minute edits are so necessary, but I can’t help it – I’m excited! The knowledge that there are people who are clamouring for Heart Search: Found is a wonderful feeling and I really don’t want to deprive them any longer than necessary. 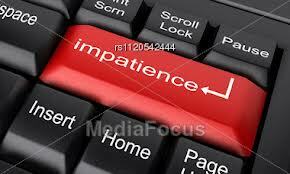 So I have to swallow my impatience, do what I need to and give my readers the very best book I can. The cover reveal will be in the next couple of days so keep checking in – I might even give you a sneak preview! If any of you want to get involved with the cover reveal/book trailer reveal (apart from the lovely ladies who have already committed – Donna L Sadd, Deborah Jay, Maria V A Johnson and Joy Keeney), please leave me a message below, but be quick or you’ll miss out. Today I have a real treat for you! 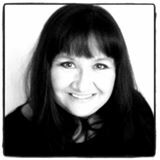 My special guest is none other than my wonderful editor, who is a published author and poet in her own right – Maria V A Johnson. Now I’m going to make her blush before I begin the interview – I happen to know Maria was nominated for International Young Poet of the Year in her second year of University! What an amazing achievement! Is that cool or what?? Anyway, I managed to twist Maria’s arm to take time off from editing Heart Search book two, to talk to us about her emotive poetry book, Hearts & Minds, writing and editing. And, as a special treat, Maria has agreed to me sharing one of the poems from Hearts & Minds here for your enjoyment. C: Welcome, Maria. It’s great to have you here today. M: Thanks so much for inviting me, Carlie, and for the wonderful cup of tea! C: Congratulations on publishing Hearts & Minds, Maria. Tell us, how did you feel seeing it up on Amazon for the first time? M: I guess I was numb. You know how you get when the unachievable startles you? That’s how I was! I’m rather a pessimist and just seeing it up on Amazon wasn’t enough to make me truly happy; and I didn’t start believing in my work until I got my first good review. C: I can relate to that. So, how long have you been writing and what got you started? M: I guess I was a bit of a late starter. I did the odd poem or story in school for assignments, but I didn’t really start writing per se until 2004 during my A Levels. It was at that time my grandmother passed away, and I wanted something personal to read at the funeral. Good student as I was, I researched heavily into funereal poetry before attempting to write my own; and I haven’t looked back since. C: I don’t think that’s particularly late – some people don’t start writing until they retire! Anyway, I noticed on your bio you have a Bachelor of Arts Honours Degree in English and Creative Writing. What aspects of your Creative Writing degree did you love? What did you hate? M: Well I loved most of it, but the fiction writing course was my favourite. I have the beginnings of about 10 stories – because each submission had to be a different story – and the hardest part is going back and picking which one to finish. I would have to say the screenwriting course was the hardest for me; I really struggled. Believe it or not though, poetry wasn’t one of my favourites. My teacher was constantly on my back saying it wasn’t modern enough, that it had too much story to it. I read some of his, and honestly I have no idea how he managed to get it published! C: Where do you get the inspiration from for your beautiful poetry? M: A lot of my inspiration comes from my experiences. When I first started it was a very emotional time for me, and there was something so cathartic about pouring my emotion onto paper that I’ve kept going in that vein. Some of my inspiration actually came about as assignments. I had to write about a certain subject, and something worthwhile came out. C: Everyone needs an emotional outlet and I think it’s wonderful how you channel yours into your poetry. How much of yourself do you actually pour onto the pages? M: A lot! I’m one of those people that tend to bottle up their emotions until they make themselves ill. Writing poetry has helped me release some of that tension. To be honest, I believe poetry is a way to share yourself and your views with the world. If you don’t pour yourself in, then what is your poetry? C: Good point! Do you write stories as well? If so, what genre and age group? M: Well, the genre is easy – Fantasy. I fell in love with it as a kid, and haven’t looked back since. My favourite age group to read is teenage/YA, and that’s the genre I aim to write for, but most of my ideas tend to be younger than that! C: You are also a professional editor. What is it about editing you enjoy? Is there any part of it you hate? M: The most rewarding part is getting to turn a raw manuscript into something people would buy and read. The part I love most however, is getting to read the stories first! I guess the only real downside is being unable to switch off the editor. Now, whenever I read, I constantly notice mistakes and it sort of spoils the enjoyment. Even big authors like Charlaine Harris (who wrote the True Blood books) aren’t free of mistakes. C: Damn! You were supposed to say your favourite part of editing was working on my books!! [Laughs]. So, what’s next for Maria V A Johnson? Are you working on anything at the moment? M: Right now my writing group, Writebulb, is just starting work on a second charity anthology. We released one towards the end of last year raising money for Farleigh Hospice, and we have decided to do another. We haven’t quite chosen a charity yet, but Little Havens Children’s Hospice is the logical choice since we are attempting to write for 6-10 year olds. As far as my individual work goes, I’ve been playing about with a space story for young children. I haven’t quite figured out which age group it’s going to be for – I’ll wait and see once the story is written. The idea actually started as a writing challenge in my group; take a song title out of the hat, and write for 30 minutes. I got the title Supermassive Black Hole! I might even use that as the title for the book…hmmm. M: Now that’s an easy one! I’m quarter Italian, and I love pasta in any form. M: Another easy one! Are you planning to ask me anything that’ll make me think? It has to be the Otherworld Series by Yasmine Galenorn (over 16’s only readers! ), but with The Lord of the Rings by J. R. R. Tolkien running a close second. C: Uh-oh! Now she’s getting sassy! [Laughs] Ok, try this one! If you could be a supernatural being, what would you be and why? M: Ok, now you’re upping your game! I love vampires, but I’m not sure I’d want to be one. A steady diet of blood would get really boring after a few hundred years. So in that case I think I would have to pick two: Fae (because they can live for ages – even half-fae can live to a thousand), and a Were. Even though Weres have to change form on the full moon, they can change whenever they want. I’m not sure which species of Were I would prefer, maybe seal because I love to swim, or maybe one of the big cats. Though I love wolves, the Weres have a bad rep as being too aggressive. C: Hmmm. I can see the attraction of Fae, but not sure about Weres. Let’s see if I can really get you with this one. If you could pick one place in the world to go, where would it be and why? M: Now this is a hard one. There are so many places I would love to go, how do you just pick one? I have already been to Paris and Rome, so I think I would have to go for either Milan or Venice. Milan, if I’m being reflective – my paternal grandmother came from a little village on the outskirts, but Venice is one of the most romantic cities in the world, and I would love to experience it. C: Yay! That one made you think. Finally, if you could have dinner with any one person, living or dead, who would it be and why? C: Thanks for taking time off from editing to let me interview you, Maria. M: Thank you for asking me here. Now, how about another cuppa? Cheeky, isn’t she?! Lol. Now I happen to know Maria’s book cover was designed by the wonderfully talented, Ceri Clark; I think it’s fabulous, what about you? The most important human experiences of love and death are beautifully explored in this anthology. With carefully selected and themed sections: Loss; Love; Lyrical; and Life, the emotions invoked by the words as they flow over the page will touch your heart. than the one we lost. 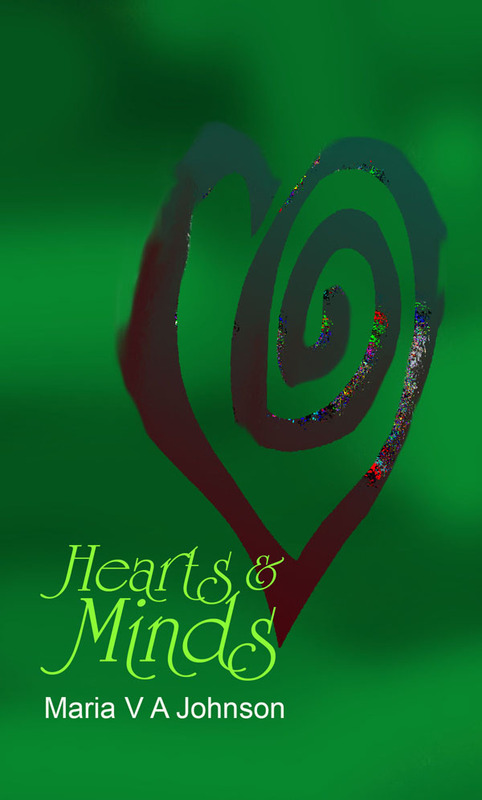 Hearts & Minds is available from Amazon UK, and Amazon.com for Kindle or paperback. First off – Happy New Year to you all. I wish you health, happiness and success in all your endeavours. What was my biggest trial during 2012? This would have to be the major problem with my spine. The first signs appeared mid-February, but by the third week in April, it had deteriorated to the extent I could no longer work, drive my car, dance, sit for longer than half an hour, stand for more than fifteen minutes, bend, and needed a stick to help me walk. Suddenly I was taking medication by the handful (or that’s how it seemed); muscle relaxants, pain killers, anti-inflamatories and nerve blockers were thrown down my neck in the vain hope they would take the pain away. Yeah, they took the edge off, but that was about it. The doctor could have given me stronger tablets, but I really didn’t want to become a barely-functioning zombie. There were two things which helped me through this nightmare (until I had surgery at the end of September) – my daughter and my writing. It was because of both I refused the more powerful drugs. My writing and editing work kept me sane; in my writing I was able to immerse myself in the world I was creating, and in between I had the honour of editing fantastic novels by Connie J Jasperson, Johanna Garth, Alison DeLuca and Nicole Antonia Carson; Johanna’s (Losing Hope), Alison’s (Crown Phoenix: Lamplighter’s Special) and Nicole’s (Yum) are already available, and Connie’s (Forbidden Road) is due to be published within the next couple of months. In the rare times I wasn’t writing or editing, my lovely daughter kept my spirits up. Without a doubt, the publication of Heart Search: Lost through Myrrdin Publishing Group. The joy I felt seeing it up on Amazon for the very first time was indescribable; I still get a buzz from it three months after the launch! When the paperback arrived, I turned it over and over in my hands, scarcely able to believe my dream of publishing a book had come true, especially after the difficult time I had trying to get it written in the first place. What was my greatest challenge? I think this would have to be organising and running the blog tour to celebrate the launch of Heart Search: Lost. I’d never done one before so was feeling my way with it a bit, but I had a clear idea of what I wanted to achieve. I also wanted to combine the tour with a giveaway, so had to choose and design the items too. I wanted each participating blog to have original guest posts and excerpts – if people were kind enough to support my launch, the very least I could do was ensure they had exclusive pieces to share with their followers. I had some wonderful people supporting me on the tour, a number of which have become dear friends as a result. The fact that the tour began just ten days after the surgery on my spine, when I could only sit for 10-15 minutes at a time, increased the challenge. I had 17 guest posts to write, 14 interviews, and to pick out 20 suitable excerpts. Add this to the actual administration of the tour, the launch itself and all the requisite publicity, it would be fair to say it was a challenge I wondered if I could rise to. I managed it, somehow, mainly by ignoring doctor’s orders and sitting for longer than I should have done! Finding myself holding the reins of a writers group! I had only been a member of Writebulb for about four months when the leader and last remaining founder had to bow out. It had taken me quite a while to find a group I was happy in and I didn’t want to see it close. I volunteered to take over and have been running Writebulb ever since. I’m proud of the achievements of the group since I took over. Apart from myself, others have published their work for the first time and collectively we published a charity anthology, The Other Way Is Essex, to raise money for our local hospice. People! To be more specific, how wonderfully supportive my fellow authors, bloggers, followers and readers were. 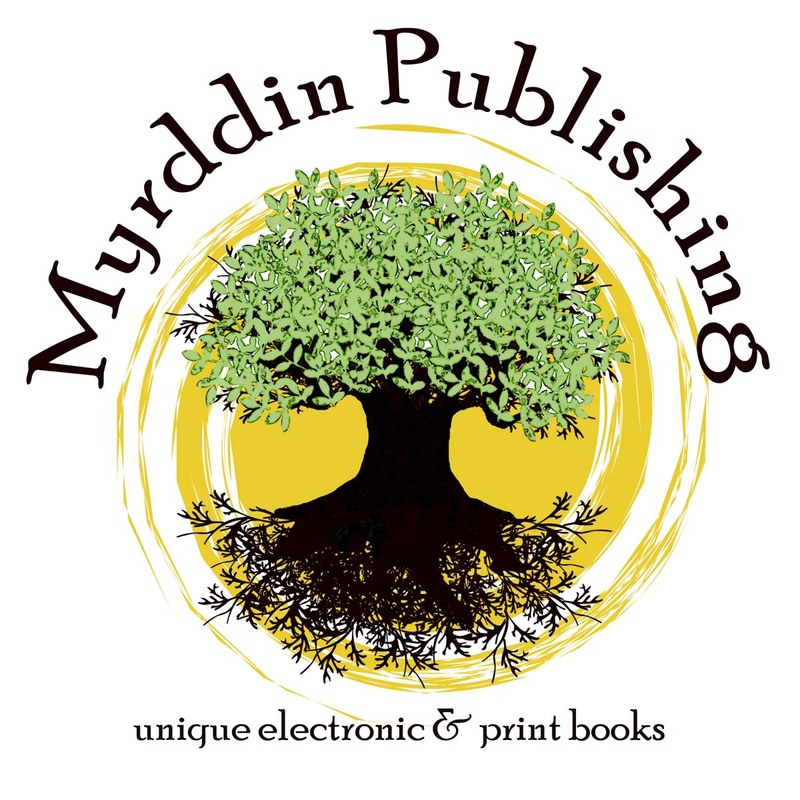 Every member of Myrrdin Publishing were incredible and I’ve found some wonderful new friends as well as very talented authors. The Heart Search Blog Tour crew were all fantastic, most going out of their way to help publicise all the activities/posts/reviews etc as well as their own and offering me loads of encouragement. My fellow writers at Writebulb have been responsive and supportive of my leadership and ideas. Last, but by no means least, my wonderful readers who have given me such fabulous feedback on my debut novel. Loads! I’ve learned to stare adversity in the face and find a coping mechanism to deal with pain (admitedly doing something I love and would have done anyway, but still . . .). I’ve been honing my craft, trying to improve my writing, so as to give my readers better quality stories to enjoy. I’ve learned how wonderfully supportive other authors and my blog and social media followers are. Finally, although I’ve been writing since I was a child, I’ve come to realise it’s a much bigger part of my life than I ever expected and I can never stop doing what I love so much! Getting back to the posts from the Heart Search Blog Tour, Elaine Hillson was my next fabulous host. She asked me for my 5 top tips for new authors. I could have written more than five to be honest, but I think these are the most pertinent and important. Writing, like any skill, needs to be honed. You need to study the craft and never stop learning. I could spend ages giving you the benefit of my experiences, and it’s all useful stuff, but I’m going to pass that by and talk about things you need to ponder once you’ve finished your manuscript. It’s incredibly difficult to see our own mistakes in our manuscripts. We see how we want it to read and not how it actually does. It takes a fresh pair of eyes to take our work and turn it into a polished gem. Editors don’t come cheap yet good ones are worth their weight in gold. There are two levels of editing; copy/line editing and full editing. A copy/line editor will look at grammar, punctuation and sentence structure. They will also look at overused words and repeated sentences beginning with the same word which are too close together. In addition, they check for inconsistencies within your manuscript. They won’t make the changes for you, but will point out where the problems exist and leave you to correct the mistakes. A full edit will encompass all the above plus a developmental and structural edit. This is where the editor will look at redundant phrases and paragraphs, timelines and the story as a whole. 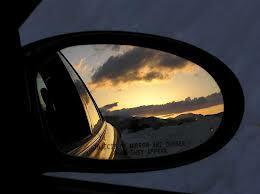 They will suggest changes based on experience and the way the story reads. Ultimately they want to make your manuscript the best it can be for you. A good editor will gently guide you in bringing your work to ‘submission ready’ status. You may not agree with all the changes an editor suggests, and that’s okay because it’s your right as the author to take or discard their recommendations. But don’t dismiss them out of hand – never forget the editor has the experience you lack, so consider each comment carefully and be prepared to compromise on occasions. After all the editing, I would always recommend getting a Beta Reader to go through the novel. Pick wisely. This should be someone you trust to give you good honest feedback and criticism, preferably not a family member as they will feel obliged to tell you how wonderful it is because of your relationship with them. It needs to be someone impartial. Take their critique on board. They are, in a way, representative of all the readers who could potentially buy your book. If they find something confusing, lacking in substance or explanation, you can bet other readers will too, so be prepared to rewrite in places and once again, get your editor to check the changes. The important thing to remember here is by self-publishing a book (if you decide to take that route) which is full of typos, mistakes and bad grammar, you are setting yourself up for bad reviews and a tarnished reputation. Mud sticks! If you plan to publish your novel as an e-book through Kindle only, you don’t need an ISBN. If you decide to go through one of the ‘print on demand’ companies like CreateSpace or Lulu you can get a cheap or free ISBN. However, you are quite limited by where you can make your book available for sale. Let’s take CreateSpace as an example. You can obtain a free ISBN when you upload your book, but you are limited to their sales channels. Sure you can pay for ‘Extended Distribution’ which would open up further outlets in which your book can be bought, but you cannot go outside of their network and sell your book wherever you want. By purchasing your own ISBN (please note: you need one for each medium your book is published so if you decide on e-book and paperback, you will need separate ISBN’s for each), you are in control. You own the legal rights to your book which gives you the freedom to select your own sales channels anywhere. ISBN’s aren’t cheap, but well worth the investment in my humble opinion. I have bought a block of ten through my publishing group, which has worked out very cost effective. If you are one of the lucky ones who get picked up by a traditional publisher, this is all done for you, but the publisher owns the ISBN not you! If you’re not very social media savvy, you better start practicing before your book comes out. Don’t try and spread yourself too thin – just pick a couple which are manageable and start building a following/friends list. These people are the first ones who will be exposed to news of your book and if they like the sound of it, they’ll keep watching you closely. Feed snippets of news of your progress to keep them interested, make and cultivate new online friendships as you never know where it might lead. You can also pick up useful information from other authors recommending editors or beta readers, plus hints, tricks and tips which you can utilise to your advantage. Start your own blog. This is, by far, your most useful platform and what’s more, the vast majority are free! You can utilise this space to allow your potential readers to get to know you and your writing. The more you engage them, the more they will talk about it to their friends and the wider your reach and potential readership becomes. You don’t have to blog every single day – I don’t. Some authors do, but that is their choice. Set yourself a goal of blogging, say once a fortnight, to begin with (and don’t forget to publicise each post on your social media platforms). If you begin to feel you can increase it to once a week, then do so. You’re the one in control – just make sure you leave enough time for writing outside of this and the previous activities mentioned for Social Media. Whichever route you take to publishing, you are still going to have to market yourself. And if you haven’t done it before, it’s quite a daunting task. Look on social media to see what other authors are doing, read blog posts devoted to the subject, research what is available, what is free and what you can afford. I have an advantage. I’ve had quite a bit of experience in marketing in my ‘day jobs’, so already have the ethos entrenched in the old grey matter. I’ve followed the advice and tips given to you above and orchestrated a marketing plan leading up to and following on from the launch of my novel. I’m told I’ve created a bit of a ‘buzz’ about it on the internet/social media platforms which is what I set out to do. I know my plans aren’t going to generate humungous sales overnight (although it would be nice), but each person who buys my book and enjoys it is likely to recommend it to their friends. Each reader who posts a good review on Amazon or Goodreads is showing the world that they think my novel is a worthwhile buy. All this adds to my credibility as an author and little by little the network expands. I hope you find these tips useful and I wish you all the very best of luck in your published career!